Whenever you see a fertilizer product, it will have three numbers prominently listed on the package, usually on the front. These numbers are very important and tell a great deal about what this fertilizer will do. Nitrogen, Phosphorus, and Potassium (N,P,K) are what the numbers refer to. They are always listed in this order. It is the percentage within that package of each component. For example, a common type of all-purpose fertilizer is referred to as 10-10-10. This is a balanced blend of equal portions of Nitrogen, Phosphorus, and Potassium. If you purchased a 50-pound bag, five pounds (or 10%) would be Nitrogen, five pounds would be phosphorus, and five pounds would be potassium. The remaining 70% is simply filler, or inert ingredients, which are there mostly to help disperse the chemicals. A common way of describing the purpose behind each chemical is to think “up, down, and all around.” Applying this simple phrase will help you remember that Nitrogen (N), the first chemical listed, helps with plant growth above ground. Nitrogen does a great job of promoting the green leafy growth of foliage, and provides the necessary ingredients to produce lush green lawns. Lawn fertilizers will frequently have a high first number for this purpose. Phosphorus (P), the middle number, is very effective at establishing growth below ground, in the form of healthy root systems. It is also the component most responsible for flower blooms and fruit production. You’ll notice that fertilizers designed for flower production, or starter-type fertilizers for your lawn, have a high middle number. Potassium (K), the last number listed, is considered important for overall plant health. This is primarily due to its ability to help build strong cells within the plant tissue. In turn, the plants withstand various stresses, such as heat, cold, pests, and diseases. For example, winterizer fertilizers will have a high component of potassium. When shopping for fertilizers, be mindful of their intended use. Fertilizers that have equal numbers can generally be used as an all-purpose fertilizer. If you had only one product to work with, 10-10-10 would be my recommendation. For promoting good fruit or flower production, look for a middle number that is higher than the first. Otherwise, your plants will be stimulated to put out lots of nice green foliage, likely at the expense of fruit or flower production. Instead, you want the energy and nutrition of the plant to go towards the desired result, flowers or fruit, so a higher middle number is a more appropriate choice. To toughen up your plants or lawn for environmental stresses, then you’ll want a fertilizer that promotes the last number, and middle number. A high first number in this case may not be appropriate, because you are not likely to be promoting new lush foliage when at the same time putting plants or turf to bed for the winter. Instead, your goal should be to promote cell structure and strong roots which continue to grow through winter. Finally, whenever you apply fertilizers, don’t assume that more is better. You can burn plants by over fertilizing, and damage the surrounding soil as well. Instead, opt for the practice of less is better. If your soil is rich in organic matter, it should have all the nutrition plants need. Thats my fertilization method of choice. As an organic gardener, I focus on building soil health with organic matter and nearly 100% of the time, that is sufficient to deliver results that even look great on our national television series. If that sounds like a plan for you, then all the better and good for you. Yet I understand and appreciate that approach is not for everyone. So when using synthetic fertilizers such as 10-10-10, please use with discretion and always keep it on target (don’t let it go into waterways or storm drains). The bloom for our oleander plants has been sparse this spring and the few blossoms that have come out are fading out. There are 17 oleanders in our backyard and 16 are planted in a row. Most of the plants are only about 3 feet apart. They were last trimmed this last fall. What can I do to boost the bloom for the rest of the hot season? I’m not sure where you live but you may want to take a soil test (through your local cooperative extension service) and also take a photograph to show them. When the plants are under stress (heat and dry) I would not fertilize them but get more information and then you can have a plan for what to do. Best of luck. I switched to organic this year (ringer restore II). The bag says it will cover 5000 sq ft but it’s 10-0-6 25lb bag. If I’m wanting to put 1lb of N per 1000 sq ft it would only cover 2500 sq ft or am I missing something? Matt, as I understand it, the bag you have includes 10% nitrogen by weight – so 2.5 lbs over 5,000 sq ft. You would need to spread this bag over 2500 sq ft. or double the application to achieve 1 lb of N per 1000 sq. ft.
Joe I took your advice and had my soil tested at my State University. The test results showed that the soil was deficient in the Macro-nutrients and they advised me to use a fertilizer product with a target ratio of 1-1-3. This recommendation was based upon the type of shrubs that I am trying to grow. The problem I am having, is finding a fertilizer that is a 1-1-3. Any suggestions? Anything you can find with a high last number vs. the first two will help. What your soil needs apparently is a lot more potassium. It can be difficult to always find just what the soil test is suggesting. So get close and that will be better than nothing. I don’t know of a specific fertilizer product that offers this ratio. I suggest a good independent garden center for this. Or ask them if they don’t carry it. I hope I haven’t screwed up. I just had fescue sod installed on a hill in my backyard on 10/6-7. Then, the deluge of rain on 10/8 from Hurricane Matthew really watered it in. I had core aeration and overseeding done on 10/12 for the rest of the lawn. The man doing the work recommended that we apply some lime to the new sod on the hill, and used a light amount of Scotts Fall Wintergard 32-0-10. Today I’ve noticed a few brown areas on this new sod on the hill. Some of the areas are about 2’x2′ (maybe four of those) and the other brown areas are around the corners and seams of the sod. I inspected a blade of grass and some of them have lateral hashmarks in the middle; some on the tips – it varies. Does this sound normal? Like disease? Like I’ve burned it up? I can send photos if you’ll tell me how. Hope I don’t lose my investment; it wasn’t cheap. William, I know I”m late in responding but based on what you say, it sounds like burning to me. I doubt it’s disease at this time of year. Too much synthetic nitrogen fertilizer will burn and potentially kill your grass. I’m curious to know if you’ve had any recovery. The extra water might have helped flush some of that excess fertilizer away and worked in your favor. However, it also likely washed away much of your grass seed. Why did you aerate and re seed after already having laid fresh sod? I wouldn’t have done anything to it until March of next year. Thanks for the succinct info Big Joe. I am in southern California – I have a 3 years old flowering peach tree, I used All Purpose fertilizer and it has a beautiful blooms for the 1st year without any fruit. The 2nd year it blooms and with some tiny fruits. This year it had lesser flowers but a lot and larger fruits. What kind of fertilizer to use and is there anyway to make it more blooms and no fruits? – Thank you. Hi Jade. The blooms are the precursor to fruits every time. I know you want flowers over fruit, but from my perspective, I think what you have is a good sign that your habitat is suitable to a healthy population of pollinators. Your trees are making fruit because the flowers are being pollinated and they are not sterile. Yes, there are ornamental varieties that don’t produce as many or fruit that is good to eat, but I don’t know that you can promote more flowers and less fruit. As for type of fertilizer, the same fertilizer you would use to make it flower more is what one would use to promote fruiting: phosphorus (the middle number in a fertilizer analysis as you know from the article. We live in Utah and our grass is a Kentucky Blue grass blend and this is it’s second summer. We have followed fertilizing recommendations for spring, summer, fall and winter. At the first of spring the grass looked very nice but as it got hotter the grass got the brighter neon green color. My husband had the sprinkler system an average of 10 minutes per station starting in the morning around 5:30 am. I don’t know if we are over watering or under watering as I’ve heard those are some symptoms of either. The last fertilizer we recently used was a Lesco product of turf builder at a 28-3-10 as recommended by the landscape store. We lived in Georgia for 9 years and had Bermuda grass and it always looked great. We just can’t get the hang of this grass. The water here is extremely hard so I don’t know what effect that has. Any suggestions? Hi Kim. Although I don’t know about growing lawns in Utah, I do know that contrary to fertilizer marketing companies, I think fertilizing 4 times a year is part of the problem, especially the neon green in summer. That is not natural and the fertilizer is forcing a cool-season turfgrass to try and perform beyond its abilities in summer. I’m not saying your lawn can’t look decent in summer but bluegrass is at its best in fall and spring. Your GA bermudagrass looked its best because its a warm season grass that thrives in the summer but goes dormant in winter. Also the watering regime needs to change. You need to water only one-inch per week, either all at once or twice a week. This way you train roots to grow deep and make it more drought tolerant. Also, work on building the health of the soil with compost and aeration vs. just synthetic chemicals. That is also a part of the problem. I write a lot about how to have a great looking lawn. If you’ll go back to the website and simply type “lawns” in the search bar, you’ll find a lot to help you. Here’s the website link again: http://www.GrowingAGreenerWorld.com. Good luck! Hi I was wondering if Jobe’s fertilizer spikes for trees and shrubs expire? I have 2 bags that say 10/13 on them. Does that mean they are expired? Thanks for your help. I would take that to mean they Oct, 2013 also. I would advise calling Jobe’s about this. I suspect they will take the side of caution and advise not to use them. I should likely not advise you to use them either. Why? All I can think of is that the coating that protects the fertilizer from releasing all at once might break down over time on its own. So if you were to use them now, all the fertilizer might be released all at once, which may be counter to how the product was designed and could deliver a harmful amount of fertilizer too quickly. So do call them to hear what they say. I accidentally used my 6-4-6 citrus fertilizer in my tomato plants. My plants are now all green plant and no fruit. Can I reverse the soil pH, and will my plants eventually produce tomatoes again? Just leave as is Kristy. That fertilizer ratio is not bad at all for tomatoes. Soil pH is a separate matter. Contact your county extension office to get a soil pH test kit and see if you need to adjust that separately. I’m about to dethatch my yard for the first time in probably 7 years (I’ve owned it only 2) so my St. Augustine can breathe and grow. Once I get the thatch out would it be best to fertilize and water then and if so which would you recommend? Rake up and remove the debris first. Then use a fertilizer labeled for lawns. They typically have a high first number and a very low middle and last number. Then definitely water it in after application. Also-read the instructions on the bag for application rates. Applying too much can burn your lawn and the runoff can be harmful to the environment. That’s why I like to use a non-burning organic lawn fertilizer. Milorganite is my go-to choice–very effective at greening up my lawn without the worry of burning or environmental harm. You can find it at Lowes, Home Depot and some garden centers and nurseries. You’ve not done anything wrong Phillip. It’s crazy that the suggested products are non-existent or difficult to find at the least in many cases. When I’ve been faced with this type of challenge I just do the best I can to find the closest match. I know this is not much help. Alternatively, you could use separate products that include the nitrogen only, and a second that provides the phosphorus. I don’t recall if you can find anything like that which does not include some nitrogen also. You just have to try and get close without over-applying. Less is always better when it comes to fertilizer. Hi Joe, I just transplanted a large rosemary plant at the improper time of year. I live in New Orleans which is hot and quite humid. My question is should I use a root stimulator and which type of fertiliser is best. I love this plant and I’m hoping it pulls through. just make sure it gets enough water without overwatering. Watch the foliage. If it turns grey or yellow, back off on water. But over watering and under watering can show the same symptoms, like wilting. Just check the soil moisture by sticking your finger into the ground. If it feels moist, that’s good enough. Rosemary does not like too much water. This is so incredibly useful. I was always daunted by trying to understand fertilizer labels and this just made everything so much easier. Thanks. I live in south Florida and have that thick crab grass(bahia) looking stuff. Soil is mostly sand. What can i do to make somewhat greener? Use a nitrogen based fertilizer Joe. I suggest Milorganite. It’s a non-burning, organic fertilizer that won’t hurt your plants or grass if you over-apply. But, be sure to read the instructions and apply according to directions on the package. You can find it at the box stores or garden centers. Synthetic lawn fertilizers will also green up your lawn but they can also burn your grass and the runoff can be harmful to the environment also. Living in So. Florida, def. go with the Milorganite option if you can. What would be the best fertilizer for long yard beans? I’ve used the 15-15-15 fertilizer , but I’m not getting very much produce from it and it’s now growing as fast. Hi Susan. If you’re not getting good results with triple 15, I wonder how the soil is where you are growing these beans. Also, triple 15 may be a bit too much for your beans unless you use sparingly. I focus on building the soil with compost and feed every couple weeks with fish emulsion and occasional Milorganite. But both are nitrogen heavy fertilizers and your beans produce their own nitrogen. So check to see if you are getting a good 8 hours of full sun each day. If not, that may be your biggest problem. That and building soil health and quality so your plants are getting the best of what the soil has the potential to offer. We put down seven pallets of St. Augustine in our front yard almost four weeks ago. The new sod has that lime green color now, which I am not very fond of, and I was wondering when I could put a fertilizer on it to help it turn that beautiful dark green? My backyard wasn’t re-sodded, so it’s thick and dark green. I’m just really anxious for the front yard to match my back yard. Would you recommend anything like Turfbuilder, Vigoro’s Supergreen, or Ironite? Oh, and I’ve been watering the mess out of this sod. This spring has been extremely hot here in Florida. Hi Susan. I would go ahead now and apply Milorganite. It’s an organic, non-burning fertilizer that also includes some iron. I think this is the perfect option to help green up your lawn without the risk of harming your grass. Other options you mention will work fine but you always run the risk of burning your grass if you apply too much or too soon. This article is very well written. I really like your “up, down & all around” phrase to help remember the purpose of each ingredient. I’ve looked up this info up many times but always forget the info when I need to fertilize again. Your article will really help with that. I came across this article when looking for recommendations for Azalea fertilizer. Miracid & the Miracle Grow Plant Food are 30-10-10. Is this the best fertilizer for Azaleas or is there a better product. Thank you! Thanks for the nice words Margie. As to the numbers you listed for the fertilizer options, I would go with a lower first number-more like a 10-10-10. The 30-10-10 is too high on the nitrogen side and will promote foliage growth at the expense of flowers. 10-10-10 is an easy to find all-purpose fertilizer. However, be careful to only apply a little around the root zone. You can burn the plant with any fast-acting fertilizer. To play it really safe, I would use a slow-release fertilizer like Osmocote. Nursery growers use this all the time to provide sustained feeding without the risk of burning the plants. Joe regarding the right granular fertilizer mix, I have a two year old ( in ground) Persimmon tree Fuju type , it seems to be OK with foliage although some insect is eating them, but no sign of fruit bearing yet. Someone at the farmers market suggest I fertilizer with a mixture of 20/ 9/9 every three months. is this a good method and what type or brand would you recommend? Hi Frank. What you have listed here seems too high in nitrogen, the first number. I would at most use a 10-10-10 all purpose fertilize, only twice a year, in mid spring and mid summer. Then only a little or you can burn or kill the tree. Thats why I prefer to use compost or Milorganite (5-2-0). It’s non-burning and organic nitrogen. I have a number of old 16 8 8 fertilizer stakes (10-12 years old) that I have been crushing to use in my yard. They were originally meant for trees but I’m too darn old to dig them into the ground. Should I continue this chore or get rid of them? And how would I get rid of them? Hi Nancy. They are “probably” ok but not sure it’s worth taking the chance. You could disperse this over an area and end up burning your plants or lawn if too much gets spread over a small area. If you use then as you’ve described, be sure to spread it lightly over a broad area so as not to over do it. Better safe than sorry. As for proper disposal, thanks for asking this important question. You’ll need to contact your county or city government and ask them when and where you can go to safely dispose of these. But do not flush them or put them into the normal waste stream. No one ever discusses the need for Calcium and Magnesium in any sort of growing systems. It is always about NPK. Can you provide a little knowledge about those essential nutrients? I grow vegetables, flowers and my lawn. How can I use these elements to increase flowering and fruit production? I read your page and very helpful but in my case I have 2 year old grass with no so good soil. Would you suggest fertilizing with higher nitrogen and phosphorus seeing as some of my grass started to yellow even though I water properly and make sure I don’t miss watering. Weeds are also a little problem but I figured that was due to a bit of grass dying and weed seeds making there way through to be able to reach the soil and grow. I know my soil is not great so I would need something to probably improve the soil. If you have a tip it would be appreciated because there’s nothing better than having a nice carpet lawn. And I know that maintenance is key. Thank you. Use the report they send you once you’ve sent in your samples and follow the instructions. And yes, the weeds you have are in large part because your lawn is not healthy enough. Get it looking good and that will eliminate a lot (but not all) of your weed problems. Hi Joe, I use a organic fertilizer made from chicken feathers, blood meal ,bone meal and composted food waste you know all that food that is throw in the garbage in these restaurants across this country. This a 5-5-5 blend kinda looks like that Milogranite brand fertilizer but I got at Walmart.I feel good about using it made with simple ingredients that I can be proud of using in my garden! I appreciate the information you put out there and I think it’s a “no-brainer” that you should be the “go-to source” for garden information. It’s obvious you love what you’re doing and obvious you care about how it’s presented. Thank you for that!! I”m on your email list and continue to vote for your grant. I hope you get it! (The way I’m rooting for you sounds like this message is “planted” but it’s not – it’s sincere and simply coming from me – a reader. I’m sure others would agree that your work is appreciated. ) Keep up the good work! You made my day Linda! Thank you for all of this. You totally nailed how we’re trying to present easy to understand info all in one place. While we don’t have everything on our site yet, we’re working on it! Thank you also and especially for voting every day! That grant would help us all a lot! What are your thought on liquid fertilization for lawns? Hi Phil. They work to provide a quick fix to the lawn, like Miracle-gro does for plants. It’s biggest advantage if there is one is that it’s a quick and easy way to give a boost to your lawn. But, it’s not my method of choice. I prefer to use a granular product (I use Milorganite), that feeds the lawn slower so whatever isn’t taken up immediately by the roots is lost forever (as with liquid fertilizers). It would certainly be worth mentioning that very little if any “P” is needed or used by lawn grass. Unused phosphorus often finds its way into our waterway polluting our lakes and streams. Many lawn fertilizer manufactures now formulate their products without phosphorous (making the middle number zero). If you seek out and use zero phosphorous lawn fertilizer when it is available in your growing area, you will not only save money, but protect our water quality and environment. I notice that Katherine (March 16 comment) called out these lawn fertilizers , but no mention of why it is critically important to use “zero middle number” fertilizer for lawns. I’m in Iowa, have two young kids and a dog. I have used Milorganite in the fall and spring for the last 2 years along with over seeding. I’m not seeing any changes and seeing more dandelions. A buddy of mine had some of the same problems and went to the Scotts Max green that is 26-0-2. I understand that the Nitrogen has helped his grass get green but I want a healthy, plush grass to go with the green. Do you recommend doing the High nitrogen with the 5-5-5? Also is the high traffic in the yard the reason the new grass doesn’t grow? I can see where the dog tracks but in my high shaded areas I get nothing to grow and its thin. The bottom line is you have to build the soil to improve the long term health of your lawn. Milorganite is something I use each fall and spring to help with that. I also aerate the lawn each fall, add composted manure and cut my lawn high to promote deeper root growth and shade out weed competition. Good luck. I was hospitalized and my sweet nephew decided to fertilize my lawn while I was gone. Unfortunately, he didn’t see the “Spring” fertilizer bags in my garage and instead grabbed the first two he saw and they were “Fall” products. Will this do any damage to the lawn, since these products are formulated for Fall and not Spring usage (the numbers on the bags were 30-0-12 & 22-0-10). Nothing to worry about here at all Katherine. Based on the numbers, your grass should be nice and green very soon. The main difference in the fall and spring formulations is in the last number. In your case, that last number indicated includes potassium, which is good for helping to provide winter hardiness. But it’s not going to hurt anything now either. So all is well. Happy spring! A soil sample has been done by a technician from Trugreen according them my soil need phosphorus 2 lbs / 1000 sq ft and potassium 1 lbs / 1000 sq ft. He told us the lack of Phosphorus in the soil results an poor growth an color of the grass. I tried to buy this at local stores like Lowes and Home depot. But they cannot help me. I tried to find it online, but also without any result. Do you have any idea where to buy Phosphorus and Potassium ? I got confused, I live in Houston and I tried to grew some citrus trees. The trees still small and they keep lose leafs. Some people at Homedepot or Lowes they have suggest to try different things which didn’t work at all. I feel I need to use 10-10-10 granular or any other combination, the recommendation is not to put the fertilizer close to the tree trunk and the question is where to put the granular same thing applies to spikes because it will be away from the roots in order to get the chemicals. Also what I need to do to protect the leafs from the hot sun during the summer? if I use a liquid fertilizer it will be washed away by the rain. Apply the fertilizer around the drip line of the trees. That’s the outermost perimeter of the tree branches and leaves. The feeder roots that take up most of the water and nutrients are approximately below the trip line. However, the roots often extend well beyond the drip line. But for practicality sake, this is a good rule of thumb to go by when applying fertilizer. 10-10-1- is a good all purpose fertilizer choice so stay with this. I don’t like fertilizer spikes since they cannot deliver nutrients to all the roots. They are so locally confined that it is impossible to get nutrients to all the roots with tree spikes. While it is better than nothing, I would suggest staying with broadcasting granular fertilizer a couple times each year at the beginning of the growing season in spring and again as you approach mid summer. Liquid fertilizer is only effective during time of application. What isn’t taken up immediately by roots usually washes past them and is not utilized. I don’t suggest this for fertilizing trees. If you want to protect the leaves, use shade cloth, which you can find at horticultural supply companies or online. We have a 1 year old Carpophore Tree that has dying branches. Our neighbor seems to think it is vercillium wilt (something he has experienced before). What is the best fertilizer to use to combat this issue. I am located in Tampa Florida. Thanks in advance. I use a 10-52-17 for my starter. The N is low enough it doesn’t push the legginess that causes stem breakage. What you’re after Jay is a high middle number in the fertilizer analysis ratio. That’s why they suggested 0-20-0. But other options work too. See what’s available at your local garden center that has a low first and last number compared to a high middle number. Don’t get bogged down on trying to find the exact match. Just follow this guideline and you will be promoting flower production and root development which is what you want. Parts of my yard is really green and plush. But I have some spots where the grass just wont grow. What can I do to get even growth and greenness? Jason, common reasons for this include too much shade from overhead tree canopies, root competition for water and nutrients and poor soil in those areas where grass is not thriving. Put your detective hat on and see what you can notice about the areas where the grass is thriving vs. where it is not and note what’s different. Then go from there to improve the environment. Lastly, keep in mind that you may not be able to reasonably correct the problem long term. In those cases, consider a lawn alternative in those areas or mulched beds. I started a new small landscaped lawn in the fall of 2013. It came up beautifully and was green all winter long here in North Carolina. But in the late spring and summer the parts that got the most sun died. It started in brown patches and finally it was 90% gone by the fall. I had the soil tested to see if it was diseased or deficient in some way. The lawn sloped very little which could have contributed to the brown patch. I researched it and believe it was a brown patch fungus that caused it to die. We were watering it in the evenings and kept it about 5 inches long. I sowed new seed last fall, 2014 and it came back well again. This time I have cut it to about 3 to 4 inches and we are watering much less and only in the morning (can’t help the evening rains though!). Anyway, it is the end of May and I can already see brown patches starting. I have not given it any fertilizer this spring. What can I do? Will any fertilizer help? Perhaps one that is low in Nitrogen? Roger, I think you made huge improvements in altering your maint. habits in the second year. Having said that, I’m wondering if you were using winter rye grass. If so, it cannot tolerate heat. Even though it comes up beautifully in the fall and looks great all winter, it will die once the heat comes. That’s what it sounds like to me. Otherwise you likely bought fescue or a cool season blend with fescue and bluegrass. It is also a cool season grass so it will look best in fall and pretty well through winter. In May it begins to show signs of stress as you’ve described. Brown patch could def. be an issue, especially in areas of poor drainage or high humidity. You can buy a fungicide for brown patch that will take care of the problem if this is the case. But again, make sure you didn’t buy winter rye. If so, you will always have the problem you encountered. Hello, I live in Connecticut and recently planted Dinner plate dahlia tubers. Am I supposed to water/fertilize them daily? I’ve read that you are not supposed to because the tubers will get to soggy and rot. But ive also read that they are supposed to be waterd. So I’m just a little confused haha! Any advice would be greatly appreciated thank you! Hi Joe. Last year we built raised beds and early on realized we over fertilized. I ran water through the beds but the plants couldn’t be saved. We did a home test of the soil this year and everything tested low. Could this be possible? Could much of what we added last year have been removed? Should we be leery of the test kit.? Thanks! Hey, I have a lawn spewed with weeds growth. A friend of mine informed me of a mixture with the fertilizer of 666. When I went to my local garden shop to purchase they didn’t have it. In fact they haven’t heard of it in my area, which s NY. The friend uses the mixture in Florida, Is there a difference of make-up for mixtures for solving problems as for different areas of the country? The soil in Florida is sand and the soil that I have in New York sand. I mean I realize that the areas are different so the compound make-up of the soils will be different, so What I’m basically asking is do you think it would be alright to use the friends mixture in New York? The numbers won’t matter as it just represents the % of fertilizer by weight. You are fine to use that. BUT, you need a broadleaf weedkiller that is safe to use on the type of grass you have. If all you do is add 6-6-6 fertilizer, you are feeding your lawn AND your weeds. Not what you want to do here. Go to an independent garden center in your area and ask them to show you what you need. It wouldn’t hurt to take some grass with you so you can show them what you have in case you don’t know. and apply them to my lawn as the first application of the year? If not what do I do with the left overs? Hi Bob. These all look to be lawn based fertilizers with a high ratio of nitrogen in all. Unofficially, I don’t see a big problem in mixing these up. The only really high numbers are the nitrogen which is fine and good for lawns. Just please be careful to keep the fertilizer on target so that it isn’t being spread where it lands on a hard surface to make it’s way to a water shed. Keeping nitrogen and phosphorus (the middle number) out of our water systems is very important. We live in south georgia and would like to know when to fertilize satsuma, also the kind of numbers. We fertilized them with 15.0.15 in Feb. and all the blooms fell off and no fruit. What did we do wrong? What do you recommend for cattle pastures? Do help the grass and control the weeds? We have a clay like dirt here in Thornton CO. What do you recommend? Amend your soil with lots of organic matter: compost, shredded leaves, aged manure, old mulch. Keep in mind, clay soil is not bad, but all soils are made better by incorporating organic matter as above when tilled or turned into existing soil. Then keep building the soil over time with a steady covering of mulch, or shredded leaves, etc. As these break down, they will blend into your soil with the help of worms and other soil dwelling creatures. Know this though…it will take time…a few years. But be patient. You will be rewarded! where can I find 10 – 10 – 10 – fertilizerI live in Des Moines IowaI went out to D & K they do not carry it anymoreI like using that fertilizer do you have another suggestion what kind of fertilizer I can use? Hey Al. 10-10-10 is such a common all-purpose fertilizer. You should be able to find it at least at a Home Depot or Lowes. Even Walmart should have it. Keep looking. Its a very common option. Where is a good place to find 5-10-10 fertilizer. I need this for Yoshino Cherry Trees. Grady, I don’t know who sells what. But I wouldn’t be afraid to use 10-10-10 which is readily available at box stores and nurseries. Also, you could look for 8-8-8 or a lower ratio if you can’t find what you are looking for. I suspect the suggestion for 5-10-10 on the cherries is to reduce the effect that excess nitrogen would have on foliage growth at the expense of flowering. So, worst case, you could put down 10-10-10 at half the suggested rate. That would deliver half as much of all the nutrients. Personally, I wouldn’t over think it and find whatever you can as close to 5-10-10 as possible. And just don’t over apply. My local nursery guy has suggested a 15 15 10 to bring some nutrient deficient soil up because the wild grasses are not thriving green and healthy. Should I be using 10 10 10 instead? These are just chemical fertilizers as I understand it. Where is the least expensive place to buy it and what are some ok brands? 10-10-10 would be fine. It’s an all-purpose general purpose fertilizer with a million uses. You can find it at any box store or garden center. It’s very common. As for brands, don’t worry about that. I’m sure there are likely just a few manufacturers of this and they just bag and ship to wherever it’s going with that company’s packaging. That’s my guess. You should also do a soil test through your local county extension service. While it’s logical to assume the soil fertility needs to be improved, focusing on the long-term soil health by adding organic matter and building the quality of the soil with lots of organic matter is the best long term solution. Good question Bob. You do not want to hit the nitrogen fertilizer too hard through the growing process. If you do, you will have amazing looking green lush plants, but a lot less fruit then you desire I’d assume. Nitrogen is an important nutrient but too much will cost you in fruits and flower production. Err on the side of phosphorus to promote fruit production. You could play it safe by using a balanced fertilizer, or one that is branded for tomato and fruit production. Espoma makes great products for this that you can find at any nursery or box store. And for the record, I use only compost and liquid fish emulsion, which is mostly nitrogen but at a very low dose. And also a little Milorganite mixed into the soil twice a year. It too is an organic nitrogen source but low dose. The key I believe is the compost which is nicely balanced with all the right nutrients and other microorganisms that store bought products can’t offer. Thank you for a great article, I especially like how you described the numbers as Up, Down, and All-Around. That makes a lot of sense and is nice to remember when I go to select the fertilizer I think I’ll need. Thanks again! I am new to gardening, but your show and website have given me a great start. So far, I have done mostly container gardening simply because I feel I need some experience before I know what I want to do. Initially, each container had one plant. This simplified things for me quite a bit when it came to fertilizing. I just used whatever fertilizer was specialized to that type of plant. Recently, I decided to use the extra space around each plant to plant more veggies. For example, I have a blackberry that I am training to grow up a trestle in a 15 gallon fabric pot, so far its getting great growth. I just added a pepper, kale and lettuce around it. So my question is do I just use a 10-10-10 for this kind of setup? What do I do if the fertilizing needs of the deeper rooted plant conflict with the needs of the shallow rooted plants? One possible idea that I am toying with is using an empty two liter bottle to force liquid fertilizer to the deep rooted system bypassing the top 6 inches or so while using a granular fertilizer for the shallow rooted plants. What do you think? My wife thinks I am over engineering. Ha! Well I like that you are thinking about this at all. Here are my thoughts. I potting or container soil mix usually has slow-release fertilizer already mixed in, so all your plant roots should get fed equally. But eventually that become depleted so supplementing with a liquid fertilizer will help. Regarding liquid fertilizer, this will reach all the roots as long as you have well-drained soil. Potting soils usually are. As for the bottle to direct the fertilizer deeper int to root area, don’t bother. It’s too much room in the container and not necessary. Lastly, most feeder roots in your container will be in the top 6 inches of soil anyway, regardless of what type of plant you have in it. So the bottom line is treat all your plants the same and don’t over-do the fertilizer. A little goes a long way, but as you water, the nutrients will eventually wash out of the container since they are water-soluable. You’ll need to supplement this eventually. Hi, I am looking at fruit tree fertilzer spikes for my new and 2 year peach trees. I am researching both Miracle gro & Jobes spikes. The formula for Miracle gro is 10-15-15 & for Jobes its 9-12-12. I am just wondering if it is worth the extra money to buy the Miracle gro for the bigger numbers? Also if you feel these are my best options. Hi Paul. I wouldn’t spend the extra money but I’m not convinced that these spikes are the way to go. I prefer to evenly spread out granular fertilizer all the way around the drip zone and let it release / dissolve onto all the roots. The spikes are too concentrated in just one area. In my opinion, this is too uneven of a way to feed all the roots. Just keep up with periodic top dressing of your fertilizer during the growing seasons and not when dormant. And don’t over-do it. Read the instructions on the package and apply accordingly. am about to plant beans in a 1acre land,i already have manure,i understand i need phosphorus fertilisers too,i dont know the best phosphorus fertiliser to use. make sure you have a soil test done to analyze this. You may or may not have a phosphorus deficiency. Adding more than is needed can result in poorly performing crops and harmful runoff into watersheds. So before you add any chemicals, find out what is really needed. The only way to do that is to have your soil tested while giving them the information on what you plan to grow. As for what type of phosphorus to use, just select a brand that sells it in a fertilizer mixture created for agriculture. Abigail, glad this has been helpful to you. Bonsai, cactus, succulents, etc. all have diff. water and fertilizer requirements. You could apply an all purpose fertilizer but I wouldn’t suggest that since the needs of each plant are unique and one size does not fit all. For this reason, several companies have come up with fertilizers specifically created for specific plant types, especially cactus and succulents. By the way, they don’t require much! But look for those to play it safe if you’re unsure. Hi Mike. Wow, reading your question brings back sweet memories of my days growing up in South Miami and eating Haden mangos from our bountiful backyard trees. Unfortunately, I don’t know what might be required for more blossoms and fruit. We always seemed to have plenty it was before my time of really digging into horticulture. I do know the 3 keys that impact a mango tree’s ability to produce fruit are temperature, pests, and diseases. I would suggest you find a nursery in your area that specializes in growing and selling tropical fruit. I would also see the help of your county extension service / agent in Dade county. They are trained with expertise in the local knowledge that I just don’t have Mike. Good luck and if you happen to find out what might be your problem, please check back in and let us know. Joe, I’m putting in a Fall garden for the first time and several sites mention the fertilizer should be tilled into the soil before the seeds and seedlings are planted. I didn’t do this. If I fertilize with an all purpose fertilizer now that the seeds have sprouted, will it be as effective or will it hurt the tender plants? Hi Joey. If you’re using organic fertilizer, go ahead an mix it into the top 6 inches before planting. You can also top dress after planting or mix it lightly into the top inch or so. 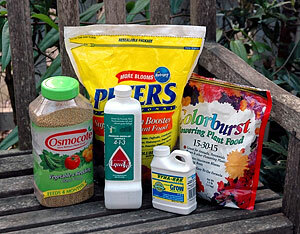 Inorganic fertilizers can be mixed in as well or added after planting. Since it’s water soluble, you’ll be fine to top dress after planting your seedlings. You should wait a couple weeks for your new plants to establish before fertilizing. Your biggest risk to harming is burning your plants from too much fertilizer. If you distribute it lightly and make sure granular pellets are not in contact with the foliage and stems, you should be fine. Go ahead and water in and you’ll be good to go. I am making a food plot of 1,000 sq. feet. The soil sample people say to use 9-lbs. of 10-10-10 5-lbs. of 34-0-0 & 4-lbs. of 0-0-60 for this. What would be the closest number to use if I purchased a bag of fertilizer and the grain store? Let me know if you have an answer. Thanks, Ron C.
Living in central Montana in the “chinook zone” my question is in regards to Fall fertilizing. How important is it to fertilize during the Fall to strenghten the root system and provide health to fight the cold temps and dry windy conditions. I desire a nice healthy green lawn as soon as Spring approaches? Great post! I just have a quick question. I live in NC and in our area we have clay soil. I have zoysia and fescue grasses. I have read that during these months (for my zoysia) I should use a 1.6 lbs of potash (ratio of 0-0-60). They say to not use Nitrogen. Then, however, I read that I should use a pre- and or post-emergent weed killer for my zoysia during this time as well. Most weed killers I see have Nitrogen in them …. so, how to I reconcile that with my zoysia. Am I only looking at weed killers that have a fertilizer mix? Rick, it’s fine to use a product that has nitrogen in it if you use it during the active growing period. But with zoysia, that is during the summer, not fall. So you should use an herbicide or preemergent that doe not have fertilizer in it. They are widely available, including Home Depot and Lowes. Just avoid anything that says “weed and feed” or references fertilizer for your zoysia. But for fescue, it is fine to use a dual product. Thank you for this article! The mnemonic means I may remember it for long enough to KNOW it. Very pleased!! How cool! What kind of fertilizer should I use for longan, wax jambu and Chico sapote? Also the amount and frequency of fertilizer applications. Hi Kevin. I have to say here that I’m not sure. Although I grew up in S. Florida where these trees thrive, I left before having the pleasure of growing and caring for them myself. I cannot offer personal experience on what fertilizer to use. I do recall however that longan does will with a balanced fertilizer such as 6-6-6, but even that can change as the tree and fruiting cycle matures. I would take time to research this individually Kevin and look for a reliable source, such as a university ag. site that you can trust. University of FL would be my first choice. Good luck. I stumbled across you web site and have a question for you! We live in central Texas and have black claylike soil. I’ve had soil test done and the ph is very high. I’ve also had our well water tested and the ph on it is very high as well. If it gets on your car and dries, the only way to get the dried cloudy residue off is with strong vinegar. I suspect that thirty plus years of using it on our garden has put the ph at this level. I posed the question sat ask.com as to how to lower the soil ph. Their recommendation is elemental sulfur. Over the years I’ve applied a number of trailer loads of mushroom compost, my own compost and ‘all purpose’ fertilizer. Now to my question: Should I just be using of commercial fertilizers with only nitrogen in it, avoiding the other two chemicals? Hi Robert. You can lower your soil pH with Aluminum sulfate. It’s most practical to do this in targeted areas of your beds vs. all of your yard or garden. You can find products in the garden centers for this purpose. Espoma makes a product called “Soil Acidifier”. You add some to each planting hole and mix it into the soil. To your question, fertilizer will have little impact on adjusting pH either way. As far as type of fertilizer, if you are using it for your lawn only, then an all nitrogen fertilizer would be ok. Otherwise, look for something with more balance across all three numbers, such as 10-10-10. But again, don’t look to the fertilizer as your solution to fixing the soil pH. I suspect your soil is naturally high in pH and the high water pH is adding to the problem. Question: I live in CA. I bought last year Plumeria about 5 feet tall with no bloom. This year it has nice big green leaves but absolutely no bloom. I don know why it is not blooming I fertilized with 20-20-20 fertilized about a month ago it did not help me. Lana, Assuming your plumeria is planted in full sun or nearly so, your biggest issue here is the need to feed about twice a month during the growing season with a high phosphorus fertilizer. That’s the number in the middle. So for example, instead of 20-20-20, try 0-50-0 or something like that. There are a lot of fertilizer products on the market that are made to promote blooming. You’ll know you have such a fertilizer because it will have some such name or especially when you see a high middle number compared to the others. And don’t overwater. Add about an inch a week. Stems can rot in soil that is too wet. Good luck. question : I live in SW Florida and have three fairly large, fast growing mango trees that I planted four years ago. A Glenn, a Valencia Pride and a Kent, which is my favorite mango, taste wise. Only sporatic, small harvests from the Glenn and Valencia Pride till this year. Both trees exploded with 40 or so fruits each but the Kent continues to be totally fruitless for the third year in a row, although it looks as healthy as the other two,..lots of brabches & leaves, just no fruit..
A friend told me I should apply a 0 – 0 – 50 fertilizer to the Kent in the fall, that should bring it around to joining in the fruit fest next summer. What do you say ? Joe, I don’t know how this 0-0-50 idea would generate a fruit fest next summer. Potassium is what is being suggested here. It’s not considered a nutrient to enhance fruit production. However, 0-50-0 is often used by commercial growers and such to promote flower production (which for mango trees is the precursor to fruit production). Could your friend have perhaps confused the order? I can see how 0-50-0 “might” help, but not 0-0-50. I’m wondering if you just give it more time. Perhaps the Kent may just need a little more maturity before it too joins the ranks as a heavy fruiter. You might also want to check with your county extension service there. They may know more about the specifics of this variety. Having grown up in Miami, I loved my mango trees! The most popular variety then was ‘Haden’. Delicious and abundant! I had a go I had a good healthy Bermuda yard so I decide to over seed for a winner so I scalp an verdacut my yard.So the seed would germinate (pop) quicker. Once I had the Rye grass established I hit it with 2 application of ammonia nitrate 34-0-0 an it looked great I had to cut it twice a week.lol I was scared to spray primo on it because I’m used to spray and larger areas. Anyway summer I’ll let it burn out slowly an I have not had the time or money to take care of it. Weeds took over I have done sprayed all them out. The Bermuda is trying to take back over its just taken to long for me. So I’ve seeded an sprig it.What fertilizer do you recommend I use I’ve already put 29-0-4 on the hea healthy Bermuda an how many times do you think I should topdress an verdacut to i no i have a strong root system? I have only done growin on golf course greens. Hi Joe- I live in CT and I have been having an issue with brown spots on my lawn from dog urine. It only seems to happen after I fertilize. It would seem through some research that the spots are caused by high concentrations of nitrogen in my dog’s pee mixing with the nitrogen in the fertilizer. Do you think it would be helpful finding a fertilizer that has a very low N number? FYI- the lawn is Kentucky bluegrass. Thanks! Rich, I think backing off on the nitrogen number in your fertilizer might help with the burning, but you need that to promote the deep green color you are seeking. However, you only need to fertilize a couple times of year in my opinion. Once in spring and again in fall. I think the main problem is the urine. Try watering the area as soon after as possible with a hose and spray nozzle. the more you can do to dilute the concentration right after it happens the better. OK. So I go to the store. And a see a 50 lb. bag of granular 21-0-0. Meaning that its just 21% nitrogen. So with those double 0’s, What is the remaining 79%? It can’t be that much micro-nutrients, (or else it wouldn’t be micro!) So after the 21, is the rest inert/filler? yes, just filler G.L. Unless it says other nutrients on the label, such as micro-nutrients, which I doubt, it’s just filler. I live in. San Diego California. My question is, is it ok to change fertilizers in the middle of the growing season? I used 10-1-1 and realized I needed 10-10-10. My plants where growing great until I used the 10-1-1. Now the bottom leaves are turning yellow quickly on tomato, tomatillo plants, help!!! Any advice will be helpful. Hi Rachael. I don’t think the yellowing on your plant leaves is because of your fertilization. This is a common condition of tomatoes and tomatillos, starting with the bottom leaves. It is fine to change fertilization when you’re ready to 10-10-10 but don’t bet all your chips on the fertilizer being the solution to all your problems. In my organic garden, I don’t use any synthetic fertilizer, just compost and some liquid fish emulsion a couple times a season. Instead, make sure you mulch the soil around your plants to protect them from diseases that reside in the soil. It will also help hold moisture in and keep weeds down. For now, cut off the leaves and stems / branches that show signs of yellowing or disease. You should be fine. Good luck. Wow Bill. Sounds like what you are doing is all you need to do. As they say, if it ain’t broke, don’t fix it. I don’t see a need to amend the soil with anything else to help out the compost. Just be sure to continue to source your horse manure from the same supplier if possible. You may be aware that a lot of horse manure these days is loaded with a persistent herbicide that can last for a couple years in your garden, even after composting! Take if from me, I know all too well. If you want to know more, google “killer compost” or use that term on our website. I’ve written about it and documented the damage tainted horse manure had on my own garden. I live in Dallas, TX and have a potted endless summer hydragena on my porch. I have now learned a 10-10-10 fertilizer would be good to apply in May & July. Is that correct? Using a 24–8-16 (which is what I have) does not sound like a good idea. Again, is that correct? I’d like to get mine looking greener and flourish as much as it can in the pot. I think I’ve done ok with any pruning. I hope! Thank you in advance. Lindsay, a balanced fertilizer is what I would go with based on the above choices. In fact, the 24-8-16 listed above is not a good idea. Ideally the middle number for hydrangeas is the most important and should be no less the first number. The 10-10-10 will be ideal. Good luck. I live near a lake and I’ve heard that I should put a fertilizer on my lawn that has 0 for the second number. Is that true, and if so, why? The second number represents phosphorus. The chemical can promote excess algae growth in waterways. This excess growth ultimately deprives aquatic life of necessary oxygen as the algae breaks down and decomposes. This throws off fragile ecosystems that depend on healthy watersheds that are ecologically in balance. Nitrogen (the first number in fertilizer mixtures) also contributes to this problem. What isn’t absorbed immediately by your lawn and plants often is washed into the closest watershed. What about plant requirements for Magnesium, where does it come in? To: Joe Lamp’l— My question is–I have endless summer Hydrangeas and would like the appropriate time to prune them? Also I have fed them last week 3rd week in April with 10-10-10—according to your site a number high in the middle (phosphorus) is ideal for flowering and blossoms. I would very appreciative for a answer on the pruning. Kay, Endless Summer hydrangeas bloom on “old wood” so prune them right after flowering as the blooms fade. To do it right, take each branch and cut it back by 1/3 or 1/2 to about 1/4 inch above a set of dormant leaf buds. While you’re pruning, go ahead and cut back to the ground any obviously old, dead wood. Um. Actually Endless Summer blooms on new growth, hence the “endless” blooms thru summer. Traditional old fashioned hydrangeas need to put on new growth this year, as that growth will produce next year’s blooms. Old fashioned hydrangeas should be dead-headed back to a bud (actually will be two new tips that grow from that point), and the same result is achieved when you cut yourself a big boquet for the house! The more growing tips, the more opportunity for flowers; not every tip will produce one every year, but those that don’t probably will the next year. Remember the Rule of Thumb: (old fashion hydrangeas) “Flowers appear on One Year Old Growth”– which really means, “at least one year old”… those non-blooming tips this year will probably be your first flowers next year. With Endless Summer, cutting flowers for your home more often, will get you additional blooms, rather like cut-and-come-again Zinnias. Remember to fertilize at the beginning of the growing season, and put something like True Blue around the plants to make blue and purple blooms from pink and reddish ones. Mulch with acid compost (azalea/rhodo mix), to increase acidity for blue blooms. The acidifying should be done in fall, so it is present the moment the plant thinks of making a flower, won’t work as well if the flower is already on its way (you can’t see them yet). Mind you, I live in California (I’m sorry! ), so consult local nursery if you live in c-c-cold area. Martha Stewart website might have info on how to winter over your hydrangeas. Worth noting: my DH hacked back a rather scraggly ES a couple years ago (potted) and that thing is currently a Bloomin’ Fool! (as they say) I was sure it was a gonner! You’re right in that Endless Summer does *also* bloom on new wood. However, according to the website for the breeder of this plant, they suggest you treat them for pruning purposes as you would for hydrangeas that bloom on old wood. Here’s the link: http://www.endlesssummerblooms.com/en/consumer/plants/bloomingsuccess. Thanks for all the extra info here. We accidentally put general purpose fertilizer stakes meant for trees and shrubs around our Sylvester palm trees and Pindo palm trees. These tree/shrub fertilizer stakes are 8-10-10 with FE, MN and Sulfur. Will this harm the Sylvester or Pindo palms? Should we dig up the stakes? The palm stakes we meant to use are 6-0-6 and contains other nutrients to protect from the deficiencies of manganese, magnesium, potassium and iron. Any advice you can provide is greatly appreciated! I love your “Up, down and all around” description of what those numbers represent and their respective affect is on plants; in my case, it’s a tomato deal! I purchased Miracle-Gro’s ‘Moisture Control Potting Mix’ which (supposedly) contains 6 months worth of plant food. I’m growing a single Better Boy tomato plant which should be flowering if not already producing fruit in early June if all goes well. Since this plant will likely see a substantial loss of temperature and daylight in less than 6 months, would that get me by or would I be safe in using a 5-10-10 (which I’ve already have) to supplement the current mix, say in a couple months or so? Your Miracle-gro is a slow release fertilizer so I don’t think you need to supplement it. I don’t think you’ll hurt anything though if you add a little 5-10-10 along the way, especially if you’re growing your tomato in a a container. The nutrients will leach faster in them than in the ground. I live in central NC and have or had A very nice centipede lawn, late last season I and several of my neighbors got what I will describe as brown spot, large round circles of brown and it seems to be spreading. Any suggestion for a treatment? Also I have been using Scot weed& feed. What you want is a fertilizer product that has a low fist number and higher middle and last number, such as 5-10-10. I’d do a soil test and look at what the lab suggests. They should provide the ideal ratio. You may not be able to find exactly what they are suggesting but getting close to it is ok too. How do I determine if 30-0-4 or 19-0-7 crabgrass preventer fertilizer is the one I should get? I’ve seen two brands that people recommend but how so I determine which is best for me? My soil sample gives my garden soil a ph of 5.9 with excessive phosphorus and calcium. What type of organic fertilizer would you recommend for a vegtable garden? Grace, use compost if possible. A good neutral organic amendment such as compost will help bring the pH up some and more over time as you continue to amend with more compost. Organic fertilizer by itself will not fix your pH balance or change the excessive phosphorous and calcium levels. That will take time for these levels to mellow. But the one thing to be sure not to do is add any fertilizer, organic or synthetic that has any measurable levels of P especially since it remains in the soil for long periods of time. Adding more fertilizer with this component will only make your levels higher and you don’t want that. Since you already have a high P number, focus on Nitrogen based fertilizers such as blood meal or fish emulsion as an organic fertilizer high in N and low in C.
I just planted a plumaria tree in Southern Calif from a 10 gal container. Beautiful plant about 7 feet tall. What is the best fertilizer mix for the transplant from the container. There is no foilage, however spring is here and my other plumarias are starting to produce foilage. My first choice is always compost Robert. Mix about 20% by volume into the planting hole. If you want a true fertilizer mix, look for a balanced organic fertilizer blend such as 2-2–2 or an all-purpose synthetic blend of 10-10-10. Mix according to directions on the package. What is the best fertilizer for Zoysia grass? There isn’t a best lawn fertilizer for zoysia. Zoysia is a heavier feeder so it will be happy with any lawn fertilizer. Having said that, I prefer an organic nitrogen based fertilizer such as Milorganite (www.milorganite.com). However, there are many synthetic products on the market simply labeled as lawn fertilizer. They all share the common ingredient of a high nitrogen component to promote lush green growth. Some include a weed killer as well, usually labeled as “weed and feed”. I think we tend to over-fertilize. At my house, lots of organic compost or Milorganite keeps my lawn looking green and healthy. Fertilizers are mixed by the manufacturer to provide an appropriate amount of nutrients based on the specific need. The numbers on the bag or box provide the important information to aid the user in selecting the most appropriate product. When a user combines two different products, the biggest risk that I can see is over-fertilization. The result can be harmful to the plant, the soil, and the environment by way of the excess runoff or leeching into watersheds. Too much fertilizer is much worse than too little. My soil sample suggests that I use 8-4-8 but the store doesn’t carry that. What should I use in its place and should I use more or less of the substitute? Many thanks. If you look at this ratio, it’s 2 – 1 -2 (2 parts Nitrogen to 1 part phosphorus, to 2 parts potassium). Since the numbers represent the percentage by volume or each nutrient, you’ll have to add more or less, depending on what you find as an alternative, IF you find something with the same ratio, such as 4-2-4 or 16-8-16. But I have my doubts that you’ll find that. Most stores sell an all purpose mix, such as 10-10-10. I’d try going to the best garden center or nursery in town and see if they have something that can get you close. If you can’t find anything, I’d go with a product that keeps the middle number low and use that as your base. Then if you need to add more nitrogen (the first number), you can usually find products that have that which you could use to supplement the extra that you need. You should also call your county extension agent to ask them what they suggest to convert what you are able to find to what they are suggesting. I think they may have some formulas or conversion charts that will help you get you closer to what you need. Good luck Bruce. Let us know what you find out. It is realy a complete description. Thank you Joy . Thanks for that info, Does that make me a farmer now. Joe, are the weights elemental (wts of N, P, K alone), or do they reflect amounts of the compounds of these elements used to make up the fertilizer? Thanks. The numbers represent the % by weight of each element. So a 40 pound bag of 10-5-10 40 of fertilizer for example would have 4 pounds of nitrogen, 2 pounds of phosphorus, and 4 pounds of potassium. Make sense?